Select your credential type: * On-Track Media Credential Off-Track Media Credential. 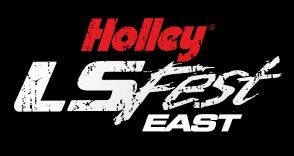 Please include the following in an email to lsfest@holley.com with the subject line “LS Fest Bowling Green Media Application”. Please only apply once per name for either an on-track media credential or an off-track media credential). On-Track media credentials are reserved for working media members with proper equipment. Off-Track credentials will allow access into the venue and specific locations. Off-Track Media Credential. (This applies to all media. No track access to “hot” track areas for photography. Please check over your fields one last time, then click apply now below. By applying you are agreeing to the following terms and conditions.